That there are millions and more of children out there in the country bereft of any form of formal schooling and education. That there are government run schools in many regions, which have a lack of teaching staff. These facts are ground realities and a prime reason for the large scale illiteracy that India even after years of independence has been facing. Under the leadership of the present Prime Minister, Mr. Narendra Modi, the Ministry of HRD has formulated this unique teaching program named Vidyanjali Yojana. 1 What is Vidyanjali Yojana? 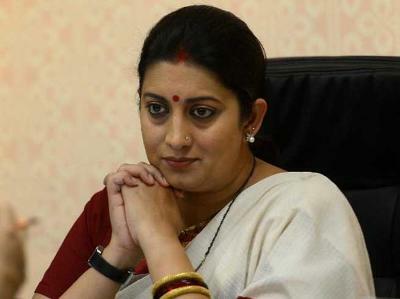 Vidyanjali Yojana, recently launched by educational minister in order to boost education sector in India by delivering volunteer teachers to government schools. 2 Education Enrollment India India is has the lowest education enrollments, about one out of nine students undergoes college studies after completing high schoolings. Ratio marked as 11% which the lowest. 4 Does it affect regular teacher’s recruitment? No! It won’t, volunteer teachers will be considered as extra or additional teaching services and they won’t supplement the work carried by regular teachers in schools. So it won’t affect regular teaching jobs. The aim of this program is to get volunteer teaching staff into schools at places which have been identified as lacking the force for educating their children. Where there is a lack of teachers, in these identified places to get volunteer teachers from retired persons or housewives who have the required level of education themselves. The volunteer teachers would be from general life with no necessity for having any pre-qualification or certificate etc in teaching work. The program would help in development of the overall personality of the child in these areas where education has yet to make inroads. A perfect marriage between someone who is looking for an avenue to give to society and someone who is lagging in privileges. The government has laid down criteria’s for those who can volunteer for the teaching program. These criteria’s are once again very short and simple. Retired professional of Indian origin, especially those from defense, retired school teachers or other government employees who have since retired. A foreign national who has Indian origin can also apply for the service but they must have the OCI card in their charge. People who have not been in any government service but have a graduation degree can also volunteer. House wives or home makers as they are more commonly referred to can also volunteer to join this program if they have a graduation degree. Volunteers who conform to the criteria laid down for the joining the program can apply via the government portal www.mygov.in. A simple form would need to be filled up giving personal details and also indicating the school closest to the volunteer’s location which requires such volunteers. There is also a mobile app that has been created for downloading and filling up the form for submission. The Block Education officer has been given the responsibility to scrutinize the application of volunteers for the Vidyanjali Yojana. The BEO has to consult the head teacher of the school that the volunteer has indicted in the form. On acceptance by the head master the volunteer is taken in for the service for 2 weeks. There is also the option of volunteer doing the service for one day per week for 12 weeks. On completion of this pilot period, the volunteer can apply for extension of the volunteer service through another online application form at the same government portal. People from all walks of life in the country would be the volunteers for this unique scheme. Almost, all people after having retired like to do something for society which they are an integral part of. They search for avenues to utilize the skill that they have gained during their working age for this purpose. The scheme is a novel way of providing them an official yet voluntary path for this purpose. A handshake between those who need and those who can provide is what the Vidyanjali Yojana gives to the Indian society at large. The benefits of the program can be termed as limitless in the long run. That it is all with no monetary returns to the volunteer means the system gets people who are enthusiastic about their intention to teach others. A successful implementation of the program would only be possible if the scheme is given wider publicity. Monitoring of the BEO office for processing of the application forms needs to be set up. Cutoff date for the implementation stage must be set up and adhered to, in all the identified schools.